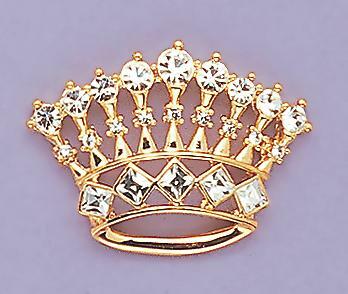 Gold Crown Pin with 3 rows of clear Austrain crystals. Measures 1.75 inches wide. Available in Gold (pictured) or Silver finish.